Last year I reviewed the Air Hogs Jet Rocket and it was flipping marvellous, costing just £9.99 it has been one of our most used outdoor toys..... it even came all the way to France with us! 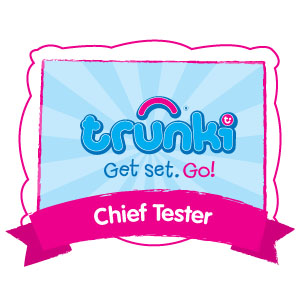 Fast forward a few months and we've been testing out this bad boy. 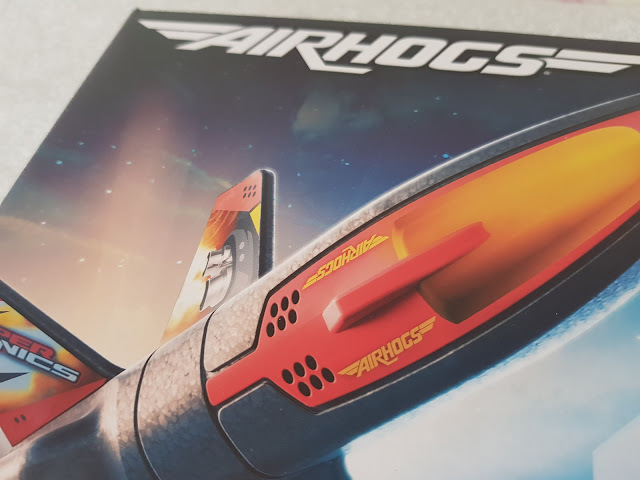 Let me introduce you to the Air Hogs Sonic Rocket (RRP £19.99) - this supercharged rocket goes high, high, high into the sky but more about that in a bit. So the main difference between this rocket and the previous one we reviewed is this is USB charged enabling it to fly way up into the sky. 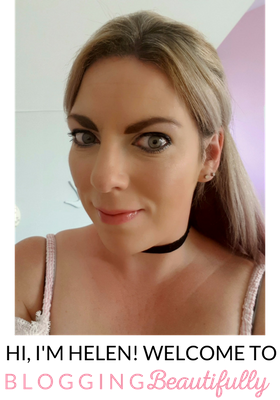 It's very simple to set up, there are a minimal amount of things included so very easy to get ready t be used. Put the launch pad together, charge the rocket with the USB provided (which takes 30 minutes) and once charged it's ready to go. 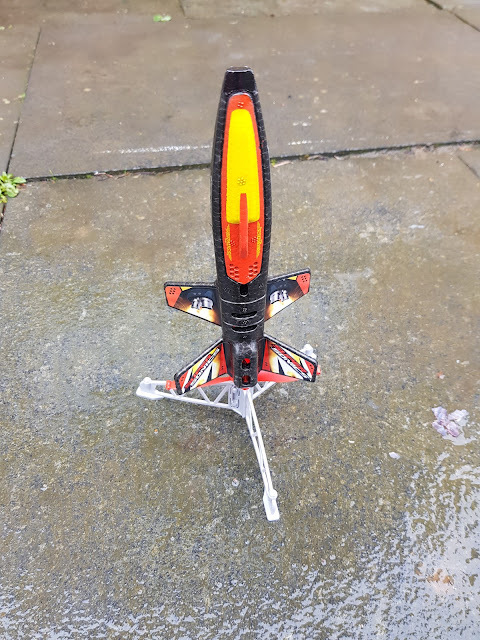 There are three power modes (which I didn't realise until I'd pressed the 'go' button, oops), realistic rocket sounds before blast off and a rotating propeller which spins around as it leave the launch pad. The rocket also has enough charge for 50 launches. I really wanted to test this out on a warm, Spring day but no such luck. We trudged outside in the grey, drizzly pretty dire April weather and tried not to shiver. We set the rocket up and there was lots of excitement from the kids. 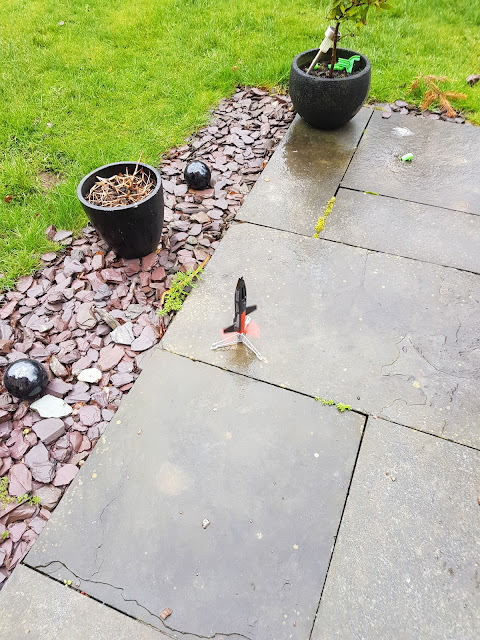 There was a bit of a breeze in the air so I moved the rocket to the other side of the garden hoping that would give the rocket enough room to have a good flight......I was wrong, so very wrong. Ooops. It whirred into life, propeller's whizzing away and whoooshhhhhh up it went into the air, it was actually quite graceful, fast but graceful and higher and higher it went. Alfie and I looked on in amazement, it really was going high......higher than our house and it kept on going and going until it sort of came down a bit and flew horizontally over to our next door neighbours house and landed quite spectacularly with a clatter on their roof. Oh dear. 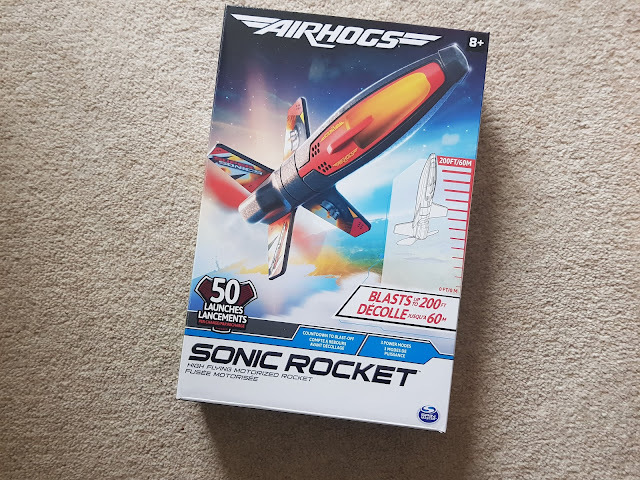 So it's clear that I should have anticipated just how high this rocket can go, it states up to 200 feet on the box but I think I should have paid more attention! So because of the error of my ways we were only able to use it once, I'm hoping we'll be getting the rocket back at some point when we manage to get it from next doors roof. I will still add a few points below however. It's pretty awesome the heights that this can go to! Don't underestimate it and take it to a field or somewhere similar, plenty of room is required! Good value for money, assuming you get more use that I have out of it the price is decent. Lots of fun and encourages physical activity when retrieving the rocket from wherever it's landed. Was there anything we weren't so keen on? 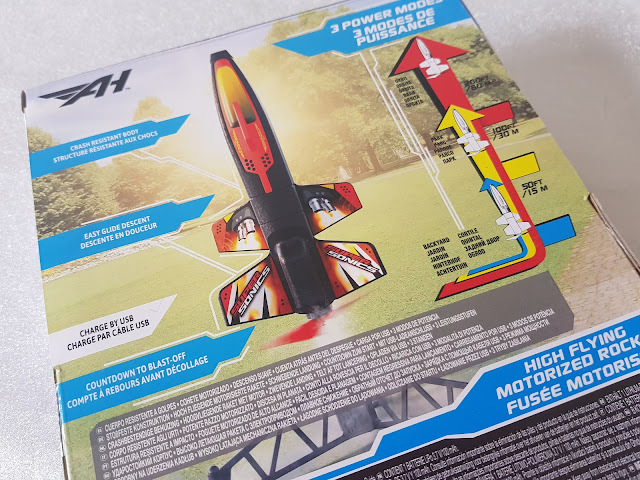 It was very lightweight and I think that both helps it fly high but also means that if there is an ounce of wind or a breeze it's not the ideal weather to use the rocket in for sure. Overall this is a great and fun outdoor toy to play with, it's really quite cool! So if you're looking for a toy with the wow factor this could be it. * Please note we were kindly sent the item free of charge in exchange for an honest review, all thoughts and opinions are my own. Looks like a cool toy to play with. I love toys like this that encourages physical activity. 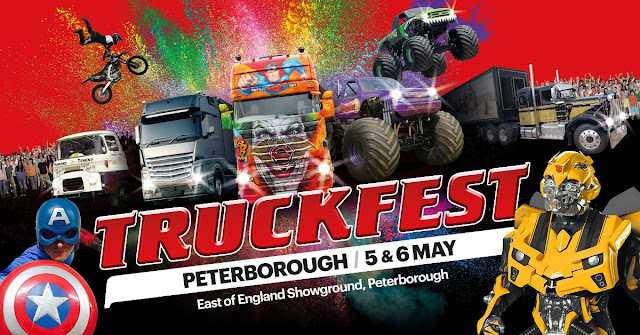 That looks such fun! :) I always worry we'll hit the church which is right next door though.